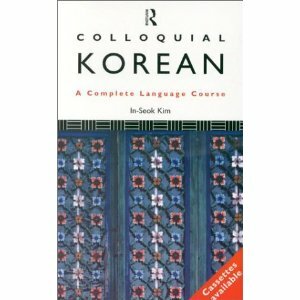 Colloquial Korean is easy to use and completely up-to-date. Specially written by an experienced teacher for self-study or class use, the course offers you a step-by-step approach to written and spoken Korean. Particular attention is paid to the Korean writing system. This paperback in the Colloquial Language Learning Series is available individually or as part of a pack. For more information, please refer to the cassette pack listing for this language. Grade 9 Up-An accurate, measured appraisal of a costly and tragic conflict that shaped American thinking about the Cold War until the fall of the Soviet Union. About half of the book contains historical narrative and analysis, and the remainder consists of biographical profiles of political and military people closely associated with the war, excerpts from important primary documents related to the event, black-and-white photos of war action, and a comprehensive annotated bibliography. As the preface notes, the Korean War is relatively ignored compared to the continuing American preoccupation with the Vietnamese Conflict-even though the earlier conflict had an immense impact on the latter. Paying close attention to military, political, and chronological detail, Kaufman provides a straightforward historical overview of the conflict showing how the U.S. became embroiled in this no-win war. Following this, he discusses in separate chapters the fragile Western alliance behind the U.S. forces, the Soviet and Chinese involvement, the controversial prisoners-of-war issue, and what the conflict meant to the American government and public. Jack Forman, Mesa College Library, San Diego Copyright 2000 Reed Business Information, Inc.
Korean Composition is the first book in English for students of Korean language aimed not only at enhancing their writing skills and overall linguistic competence, but also at organizing and developing their ideas and thoughts with grammatically, stylistically, and culturally correct expressions. The Essential Composition section contains chapters concerned with the writing of essays, diaries and letters, document preparation, and expository writing. The Advanced Composition section considers descriptions of impressions, writing poetry, newspaper accounts, writing articles and theses, and summarizing. Each chapter consists of numerous units designed to cover words, phrases, idioms, and grammatical patterns (with sentence examples). Exercises and a model writing example are included in each unit. Advanced students who need assistance in choosing proper topics and materials as well as in using diverse expressions in creative writing will benefit from the section on steps of composition and styles of writing. English translations of model writings, an index of useful grammatical patterns, and an English-Korean glossary are provided at the end of the text. Korean Composition is aimed at college-level students who have completed at least beginning and intermediate levels of Korean. 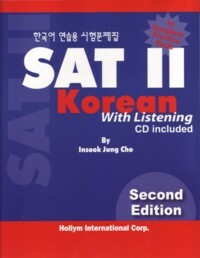 For students using the Integrated Korean series, this text is recommended for use after the completion of Advanced Intermediate 2. A collection of ten essays which cover topics such as: arguments for King Sejong's "personal creation" of the script; the Asian and domestic linguistic and socio-cultural background to its creation; the principles under which each symbol was created; and the structure of phonological units. This textbook is the ninth volume in a five-level series (Beginning 1 and 2, Intermediate 1 and 2, Advanced Intermediate 1 and 2, Advanced 1 and 2, and High Advanced 1 and 2) developed collaboratively by leading classroom teachers and linguists of Korean. All series’ volumes have been developed in accordance with performance-based principles and methodology—contextualization, learner-centeredness, use of authentic materials, function/task-orientedness, balance between skill getting and skill using, and integration of speaking, listening, reading, writing, and culture. Grammar points are systematically introduced with simple but adequate explanations and abundant examples, exercises, and drills. Each lesson of this volume consists of pre-reading activities, one or two main reading texts, new words, useful expressions, exercises, comprehension questions, related reading, discussion and composition, and English translation of the reading texts.